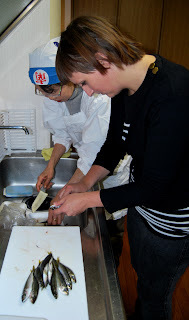 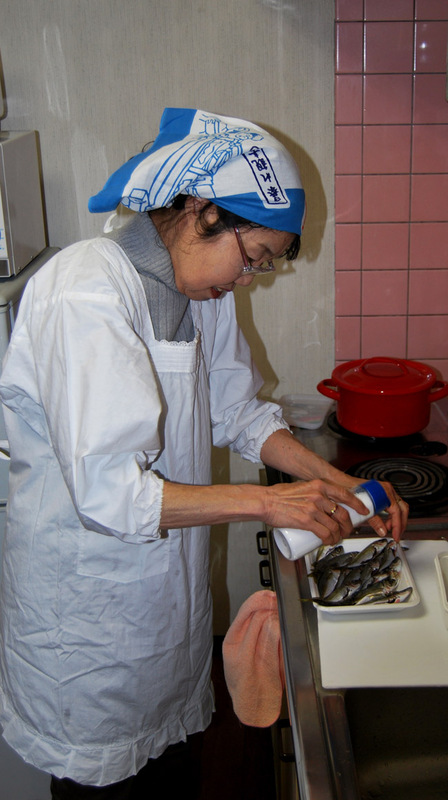 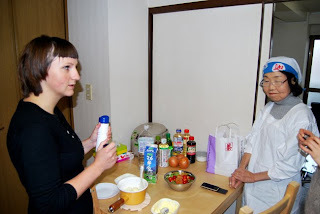 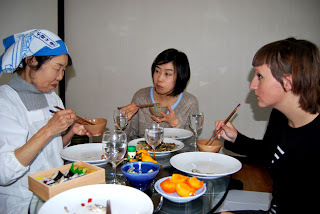 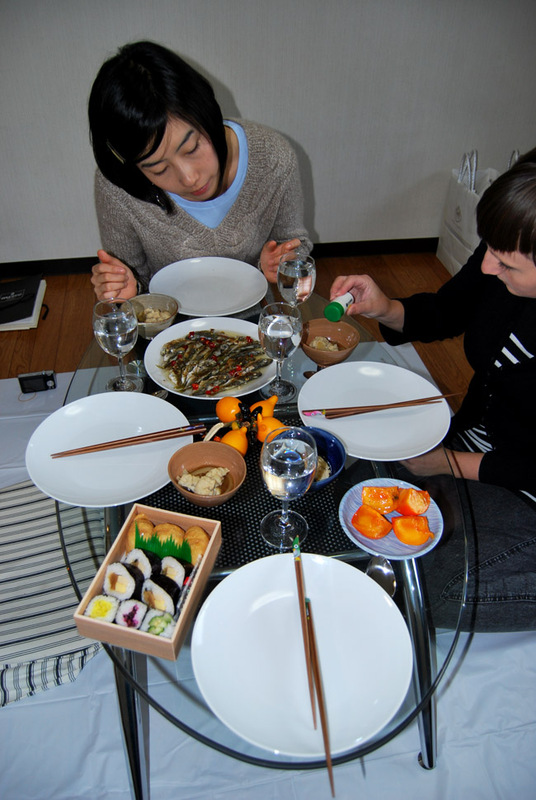 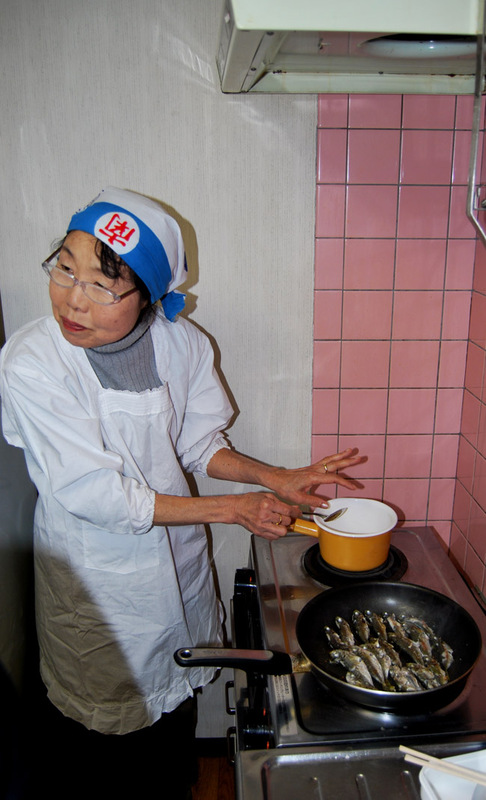 For the fourth dinner in the "Kyoto Dinner Experiments" we invited Ikumi Kawanabe for mackerel casserole. 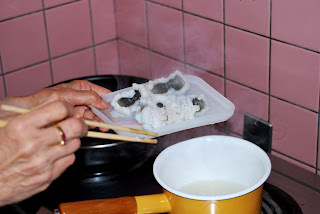 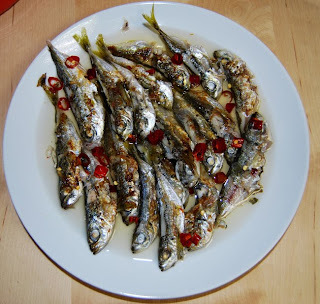 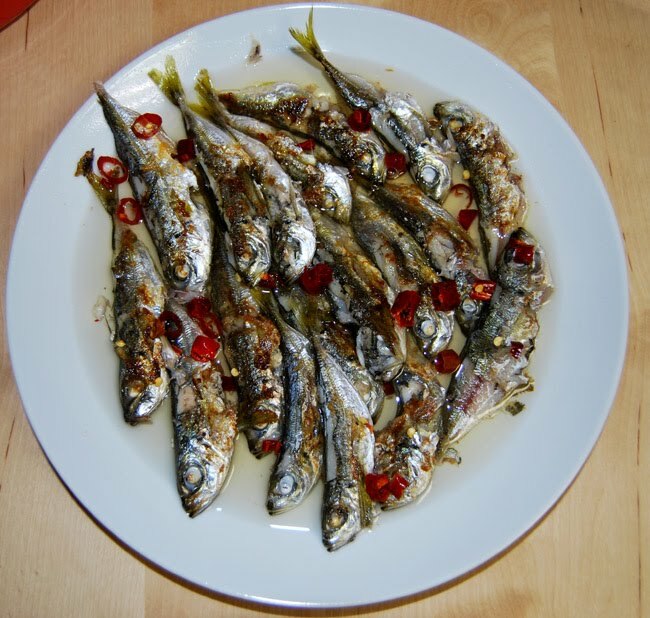 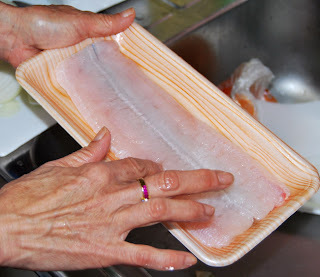 Cut the mackerel fillet in parts that are 3-4 cm wide. 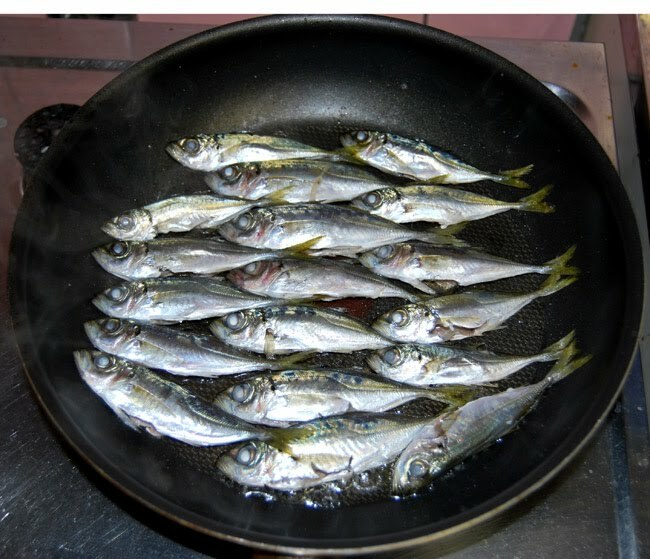 Put the oil and the garlic in the casserole, then add the fish and let it fry for a couple of minutes. 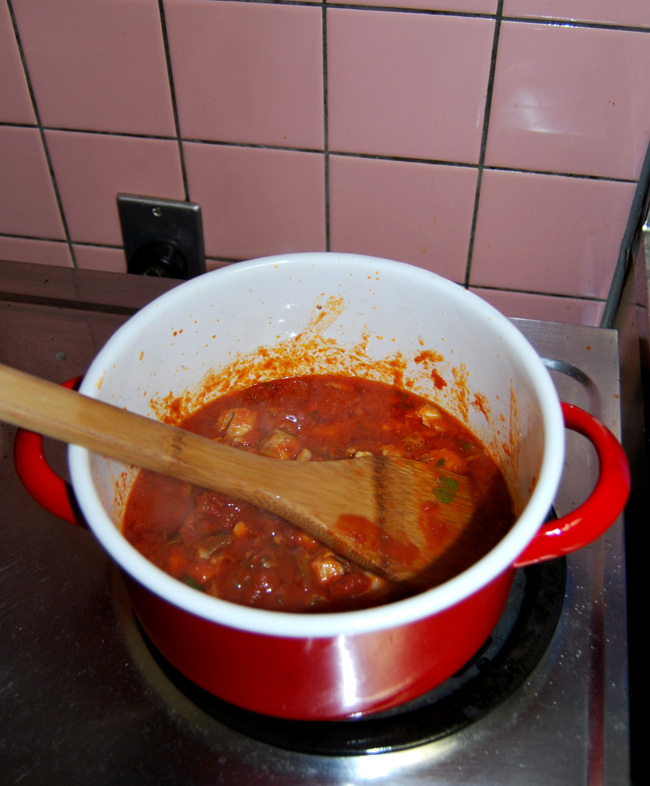 Add the tomato and thyme, put the lid on and let it boil for 20 minutes. 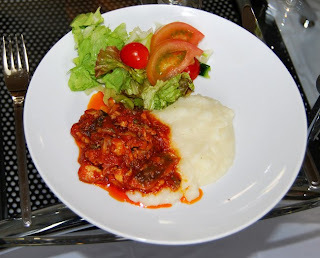 Serve it with boiled potatoes.